It's no secret that the live arts are experiencing uncertainty in the 21st century. Many of us are concerned with dwindling (and graying) audiences, changes in funding, rising costs, and competition with mountains of media content (did you know that Netflix alone plans 30 original shows this year?). Some have even predicted the death of traditional art forms like symphonic music. But the truth is, more people are experiencing the arts than ever before. They are just responding in new ways and following nontraditional patterns. How do we encourage audiences to give us a try in this brave new world? 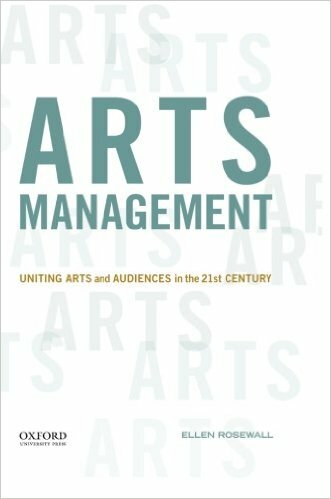 Ellen Rosewall is the author of "Arts Management: Bringing Arts and Audiences Together in the 21st Century," and a nationally known speaker and writer on innovation in the arts. Last year, she spent three months traveling the country talking to artists and arts organizations who are changing to meet the needs of modern audiences - while keeping artistic mission at the forefront of their efforts. In this interactive session, she'll share some of the exciting ideas she learned, and we'll discuss how all of us can incorporate these ideas into our programming and audience development efforts. Ellen Rosewall is professor and chair of Arts Management at the University of Wisconsin-Green Bay and the author of "Arts Management: Bringing Arts and Audiences Together in the 21st Century" (Oxford University Press, 2013) and "Sparkle Island: Stories of Love, Life and Walloon Lake" (Raven Tree Press, 2000). She blogs at "Artini: Arts Management with a Twist," www.erosewall.wordpress.com. While her winter home is in Wisconsin, her summer heart lives in her family's 100-year-old lake home on Walloon Lake near Petoskey. PLEASE NOTE: If you are unable to attend a smARTS Professional Development Workshop due to financial need, please email Program Manager, Josh Holliday, to learn about scholarship opportunities. All registration fees for workshops hosted by the Arts Council of Greater Lansing are non-refundable. Attendee substitutions are welcome.